Last year, we had the chance of looking at Mr.Whale’s FAR (which is also at Gamescom 2016 and we will cover it in one of the next few days). 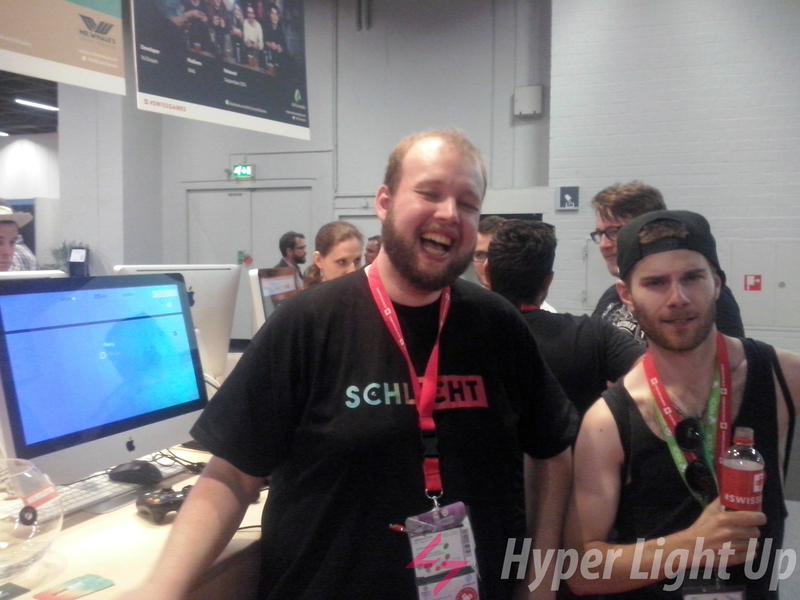 This year we also saw Christian Schmidhalter, the founder of the company who works on the team that is developing Schlicht. The game, as explained by its developer is a co-op atmospheric, dexterity-based puzzle game that asks of the players to have good communication in order to succeed. The good communication skills are tested through various things in the game such as mechanics, among other things, that have to do with scaling of each player’s dot size in the game. They told us that one of the biggest difficulties in the development of the game was actually visualizing all of the game mechanics since they wanted it to be “abstract but not confusing.” Christian told us that this is what makes the game “timeless.” The name comes out of the combination of the words shadow and light (in German) and one of the major mechanics in the game is that you very often have to play with yourself as yet another game element. Other than that, I have to say that the game was very fun to try out on co-op (playing with Christian) and that there is also a challenge mode for anyone who is bold enough to try it. For more news and announcements about Schlicht follow the game on Facebook and Twitter.